After what will undoubtedly go down in history if not the record books as something of a disappointing run for Batman V Superman: Dawn of Justice it seems Warner Bros. will not only be "releasing fewer films", but also focusing more on the franchises they already have in motion. The worst thing the studio could do at this point is administer a knee-jerk reaction and completely rethink their DC extended universe plans. So BvS didn't go exactly as they'd hoped critically or commercially-that doesn't mean you scrap your entire slate (which WB would never do, but they might certainly alter it significantly) and it shouldn't mean that you start trying to bend to the whim of every internet comments section, especially when you have something as unique and fantastic seeming as Suicide Squad on the horizon. By the time August comes around BvS will already be on home video outlets everywhere allowing more people to discover the film for the first time and for those who disliked it the first time, a chance to give it another shot and possibly warm up to it more. If Suicide Squad is indeed as good as its trailers have indicated so far Warner Bros. could essentially move the conversation in their favor and have people once again excited for next summer's Wonder Woman and possibly even next November's Justice League Part I. While the issue with director Zack Snyder is one that looms large over the Warner offices, Suicide Squad comes to us courtesy of acclaimed director David Ayer (End of Watch, Fury) so there is no reason to expect less than excellence from what Suicide Squad promises. Only time will tell, but I sincerely hope Warner Bros. doesn't take too much early action a la those "re-shoots" to make the film more "fun" and simply allows their films and the people behind them a little breathing room. 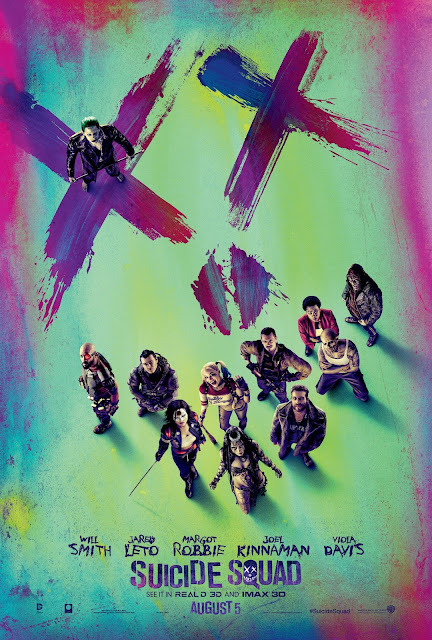 Suicide Squad stars Will Smith, Margot Robbie, Jared Leto, Jai Courtney, Joel Kinnaman, Cara Delevingne, Viola Davis, Adewale Akinnuoye-Agbaje, Adam Beach, Jay Hernandez, Karen Fukahara, and opens on August 5th, 2016.